We have been helping our commercial and retail customers look great for more than a decade. We pride ourselves on professionalism and the flexibility to work within your set parameters. We provide pressure washing services over an extensive service area and have proven results that give you real value. 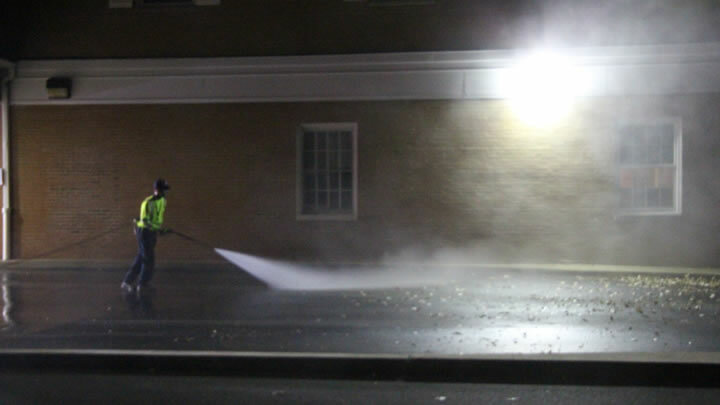 We provide professional pressure washing services to consumer-serving businesses that need to look good at all times. Our primary customer base includes retail stores, retail chains, big box stores, wholesale clubs, banks, convenience stores, grocery stores, professional offices, gas stations, restaurants, medical facilities, and hotels just to name a few. For inquiries please call us at (877) 563-WASH (9274) or simply click here to request that an Interstate Pressure Washing Sales Representative contact you. Our highly trained employees utilize state-of-the-art equipment to provide you with the best possible results. All of our trucks are self-sufficient; this means that we use our own water and power generation systems. This can save you any additional expense of traditional water and power hookups at your location used by our competitors. 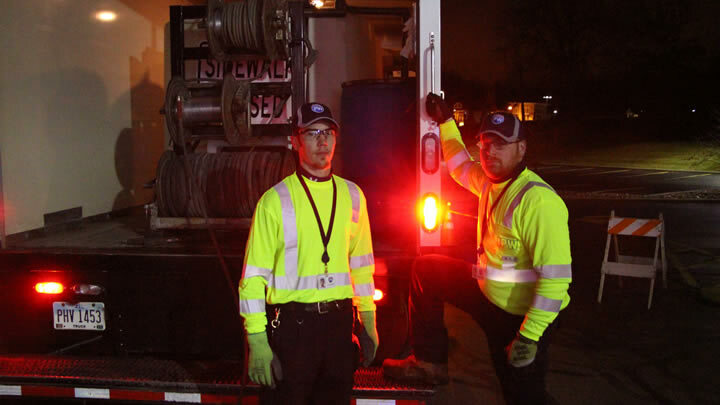 We work at night or on off-hours when your business is closed or isn’t operating at full capacity. This ensures a safe and non-intrusive cleaning environment. Working during off-hours is a competitive advantage to our customers with heavy foot traffic at their business locations. We provide pressure washing for clients throughout Ohio, Illinois, Indiana, Southern Michigan, Kentucky, West Virginia, and Western Pennsylvania. Whether you have only a few local locations or hundreds across a multi-state region we can serve them all in a cost effective manner. You want clean, you want cost effective? 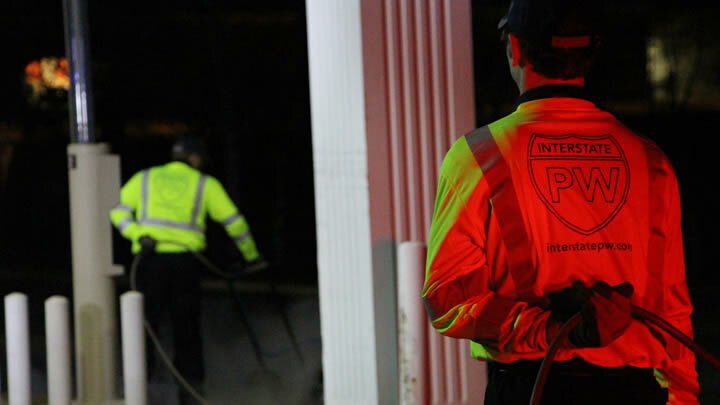 Interstate Pressure Washing is one of the most competitively priced pressure washing services available. From graffiti to gum to grease, there’s nothing we can’t clean. Keep your business location looking clean with Interstate Pressure Washing.